Chances are, a lot of the supplies you need to purchase for the new school year are already lying around your house somewhere. 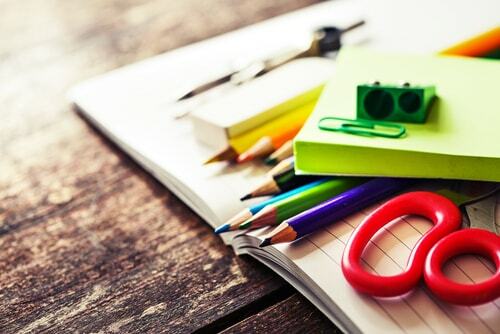 If you check all the nooks and crannies in your home, you’re likely to find an abundance of unused pens, pencils, notebooks, calculators, crayons, rulers, etc. Collect your inventory from around the house and start checking items off their school supplies list. You already saved some money without setting foot out the door. There’s no shame in exploring discount options outside the realms of retail for the sake of saving money. You never know what you may find at a weekend garage sale or your local thrift store. Imagine finding a barely-used backpack, a couple shirts and maybe even a dictionary among other things and paying only a fraction of the retail price. You might think buying school supplies this way is a desperate act, but on the contrary, it’s in fact a very smart financial move. According to statistics, thrifting and shopping for second-hand items in general has become increasingly more popular across all financial household demographics in recent years. It makes sense, because who doesn’t love a bargain? It’s funny how nobody ever thinks of the dollar store in these situations. Your nearby Dollar General has everything you need at lower than low prices, and everything is brand new. Sales tax holidays are prime time to shop for back-to-school supplies. On these days, you can get all your shopping done and save a bundle on the sales tax. Get clothes, tablets, backpacks and school supplies tax-free. 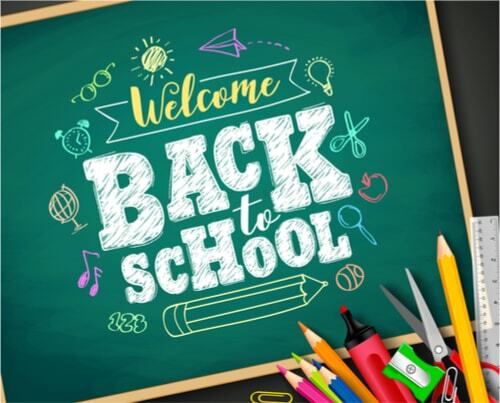 Find out when your tax holiday hits so you can plan your back-to-school shopping ahead of time. These tax-free shopping days usually kick off in late August through September. If all else fails, you could always turn to the internet for help finding every deal, every sale, every discount and every rebate that’s out there. You could even earn cash from buying all your back-to-school goodies online by shopping through Ebates.com. With online shopping, you can avoid the stress of driving all over town and putting up with all the in-store craziness that goes along with back-to-school shopping. Simply grab your laptop or tablet and enjoy a comfortable and quiet shopping experience from the couch where you can take your sweet time looking for the best deals. It’s certainly the easiest and least stressful way to do back-to-school.